Gurez / Gurais also pronounced Gorai in local Shina Language is a valley deep located in the high Himalayas , about 86 km from Bandipore and 123 km of Srinagar in northern Jammu and Kashmir, India. 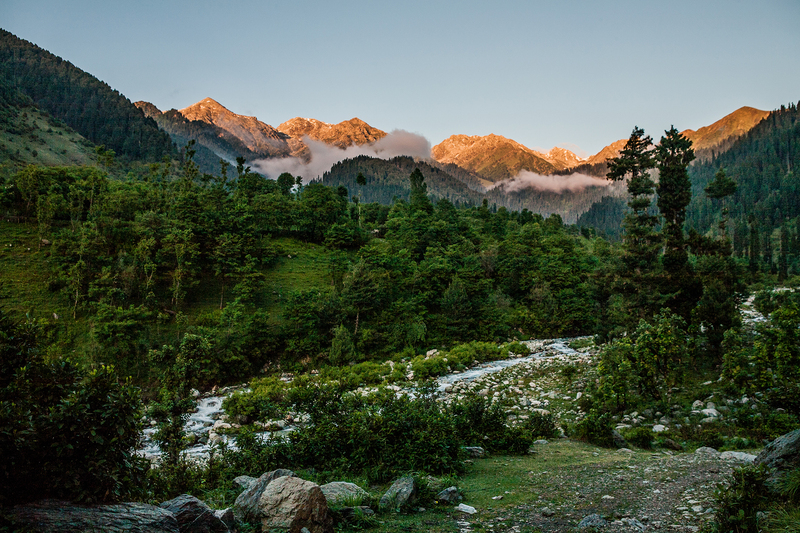 Situated at an altitude of about 8,000 ft above sea level, the valley is surrounded by snow capped mountains. It has diverse fauna and wildlife including the Himalayan Brown Bear and the Snow Leopard. The Neelum River flows through the valley. The road to Gilgit and Kashmir's border with Gilgit runs through Gurez and is also known as the Gurez-Gilgit transport road. Historically, Gurez was part of ancient Dardistan, stretching from Sharada Peeth in the west, Minimarg in the north, Drass the east, and Baghtor in the south. The Gurez Valley falls along the section of the ancient Silk Route, which connected the Kashmir Valley with Gilgit continuing further to Kashgar. Archaeological surveys in valleys north of the Gurez Valley along the Silk Route, particularly in Chilas, have uncovered hundreds of inscriptions recorded in stone. Inscriptions in Kharoshthi, Brahmi, Hebrew, and Tibetan have all been discovered. In particular, the findings reveal insights into the origins of the Kashmiri people and the early history of Buddhism which took a different shape in Kashmir, over a series of Buddhist Councils held between the 1st and 2nd centuries AD; in the 6th Century Buddhism spread across the borders to Tibet by missionaries. Also, the ancient capital of the Dards, Dawar, is located in the Gurez Valley and is an important archaeological site. Other archaeological sites of importance in the Gurez Valley include Kanzilwan where the last council of Buddhism is believed to have been held and, further down stream, the ruins of the ancient Sharada University are preserved along the Kishenganga/Neelum River. Further archeological research is ongoing.The older generation remembers a time, in the colonial period, when Gurez was a trekkers' paradise. Nehru and Indira Gandhi, accompanied by Sheikh Abdullah, were among those who loved trekking here in the '40s, fishing for trout at Naranag, one of the tranquil lakes in the mountains above the valley.